A few months ago, I finished up a custom nursery stencil job for a couple expecting their first child this fall. 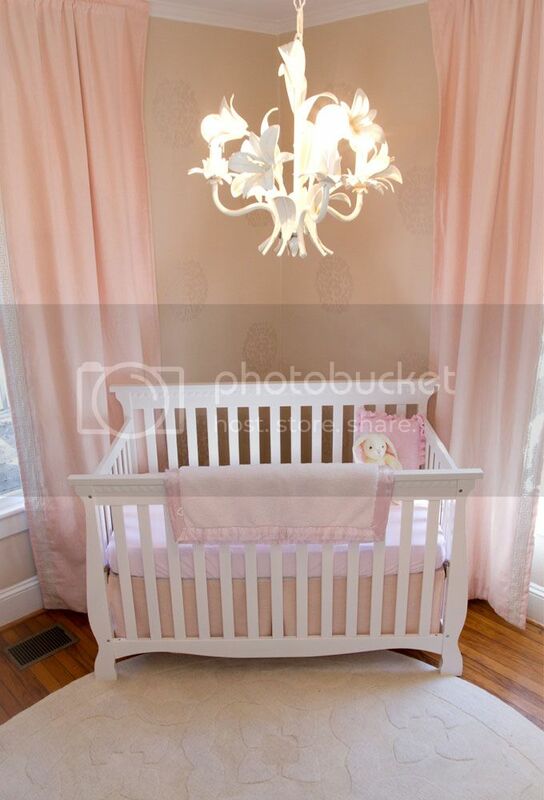 They wanted something very calming and elegant, not to mention pretty with just the right amount of "feminine." Working with Heather Hogan Roberts, Dana was able to achieve just that look! She wrote about it on her great blog, Danapop. All images taken by Erin Cantrell Photography. I created this custom stencil to sort of mimic the look of the Madeline Weinrib rug, "Mandala"... I used a soft champagne colored paint, and love the subtle look it gives! 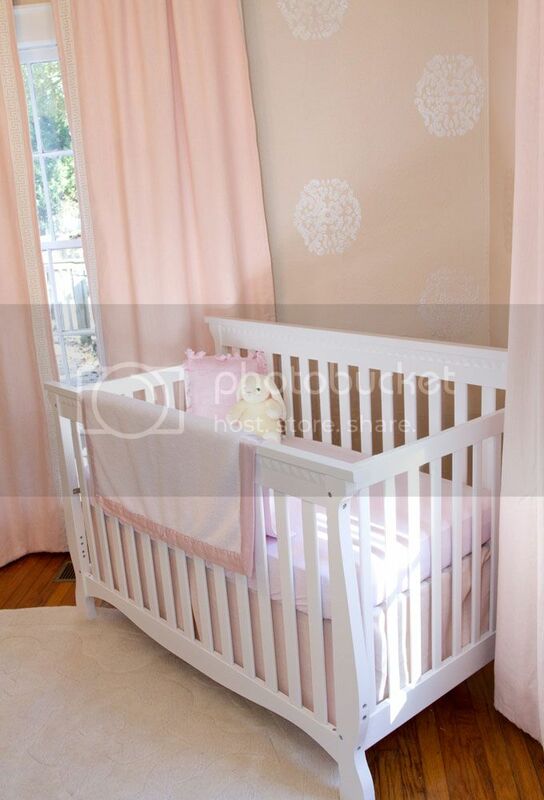 Thanks so much, Dana, for having me over to paint - I love your nursery!